Just one more innovation that we’ve added to our full line of of squaring and glazing racks. 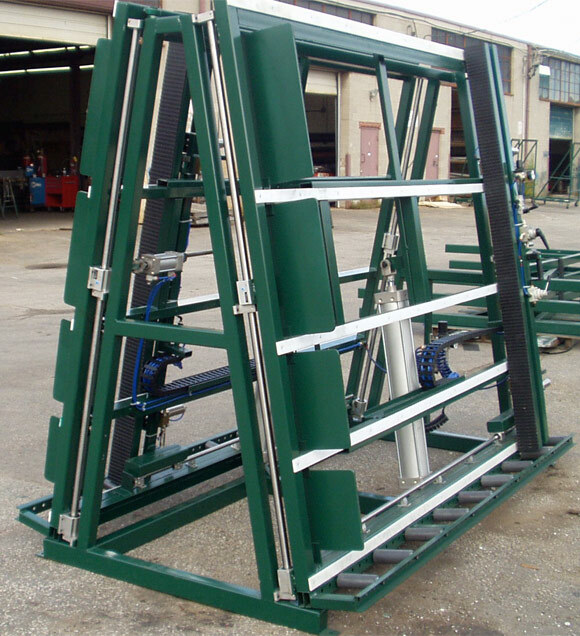 With several options available, these racks can be custom made to suit any application. If you need retractable squaring members, pneumatic lift, or a casement-type rack to access both sides of window, door, or patio door, we’ve got you covered.